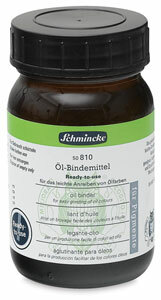 This ready-to-use binder is ideal for producing your own oil colors in small batches. Just add dry pigment to the binder and mix with a palette knife, using a simple mixing ratio of 1:1. The oil binder contains vegetable oils, siccatives, and a consistency agent.